Here’s an unusual comparison. It contrasts the value of two different options for childhood obesity: a tax on sugary beverages versus bariatric surgery for adolescents. Steven Gortmaker and colleagues published this analysis in Health Affairs. Gortmaker presented the data yesterday in Washington, DC. Calling this an apples and oranges comparison would be generous. The basis for this comparison has two dimensions. First is an estimate of how much each intervention can reduce the prevalence of childhood obesity. Second is an estimate of how much it will cost. So for the sugary beverage tax, the cost savings are impressive. It reaches the entire population. It generates tax revenue. The authors estimate that a tax will lower BMI across the population of all children enough to prevent 576,936 cases of childhood obesity in ten years. As a result, they conclude it will save $14 billion dollars by reducing healthcare costs. There’s one important caveat. Direct evidence for the tax causing a drop in population-wide obesity prevalence is lacking. For surgery, the numbers are very different. It’s not a population-wide intervention. It’s only appropriate for adolescents who already have severe obesity. Bariatric surgery is an important, but expensive option for a small population. We don’t need a sophisticated model to know that it won’t prevent obesity. It’s a treatment. But it’s a very effective treatment. The authors note that surgery is life changing for the individuals who need it. Recent studies add to the evidence of a long-term benefit for adolescents. A sugary beverage tax won’t do much for adolescents with severe obesity. 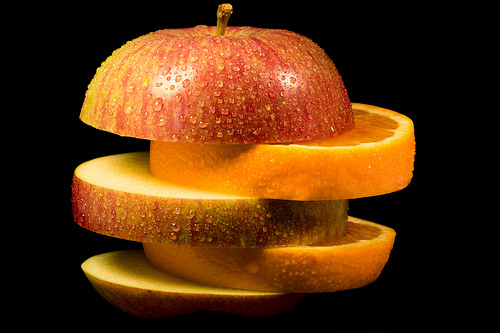 So this apples and oranges comparison between a beverage tax and bariatric surgery is absurd. The notion that we have to choose between obesity prevention and caring for children with obesity is wrong. Unfortunately, our options for both prevention and treatment are less than ideal. But we have options. They can help. And we owe it to our children to use them. Click here for the analysis in Health Affairs. I’ve not read the full paper, but based on your summary, Ted, I give the authors props for being willing to consider such a range of (potentially heterodox) options. Which is better for cancer prevention? Cancer surgery or tobacco taxes? Unfortunately this presentation is “state of the art”. The children need better and deserve better.